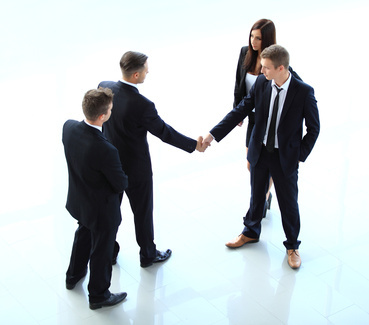 We offer a wide variety of legal services to individuals and businesses alike. Contact us and you will find that our office provides unparalleled service to our clients because, unlike many larger firms, we treat your matter with the personal care that it deserves. The Law Office of Nicholas Baker is focused on providing the highest level of legal services to all of our clients. Unlike many law firms in the Chicagoland area, we believe that attorneys, not secretaries or paralegals, should be the primary workhorses of any and all of our legal matters. For this reason, you can rest assured that you will have personal contact and frequent discussions with an attorney throughout your representation. We offer a wide variety of legal services to individuals and businesses alike. Contact us and you will find that our office provides unparalleled service to our clients because, unlike many larger firms, we treat your matter with the personal care and attention that it deserves. Click on the links to get some more information on what we do and how we do it, then contact us to discuss your legal matter in a confidential manner—just fill out the form on this website or call our office. Consultations are always 100% free! Our office approaches all cases a little differently than other Chicago law firms. Because Mr. Baker is also a licensed Private Detective, our office brings to your legal matter an expertise in investigation and research. No other law firm in Chicago has the experience that we do in this regard–this sets us apart from the rest because, unlike other law firms in Chicago, we will find out the truth! Whether you are going through a divorce, fighting for custody of your children or have been injured in an accident, no other office in Chicago will fight for you the way we will. Click through the links on our page, we believe in educating our clients, and we aim to provide detailed information on virtually every area of the law that we cover so that you will have a better understanding of how we work. Go on–give us a call to get started with a 100% free consultation! You’ve got nothing to lose, but many rights to gain!